B Coleman Aviation at Gary/Chicago International Airport is about to undertake a multi-phase expansion project. Its president, John Girzadas, reveals what lies ahead in there exclusive interview with Business Airport International. We’re named after Bessie Coleman, the first female pilot of African-American descent and the first to hold an international pilot’s license. Her grit and determination is our inspiration. What does B Coleman Aviation offer? 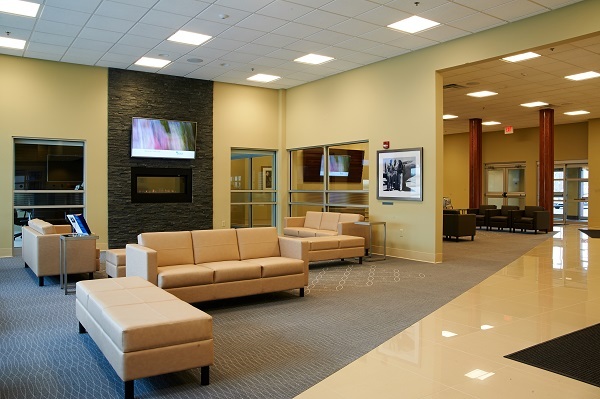 We’re a full-service aviation provider offering FBO, charter operations, aircraft management services and maintenance from our headquarters at Gary/Chicago airport, just 25 miles southeast of Chicago. We also have MRO operations through our affiliate company, Infinity Aircraft Services (IAS), based in West Palm Beach, Florida, with satellite locations in Atlanta, Georgia, and Gary, Indiana. So what are your plans over the next year? We’re expanding to include a 40,000ft² common hangar to complement our existing 17,500ft² facility. We’ve also secured several new managed aircraft, available for charter in the first quarter of 2017 – a Gulfstream GIV/SP, a Beechjet Nextant, a Hawker 700A and a Hawker 800XP. We already have two GIV/SP aircraft plus a Lear 55 and a Challenger 601. The hangar is just a small part of the expansion, is that right? Our US$30m multi-phase expansion also includes a ground lease covering 11 acres of land suitable for aviation-related development. It means we can offer corporate flight departments and individuals the opportunity to build a facility specific to their needs. With the airport only minutes from the highway, offering a safe and private environment, we are already getting interest. How important is customer service to B Coleman? We were founded on customer service, and we understand the importance of going the extra mile. We had one client that collected vintage records. The flight attendant found out his favorite type of music and bands, and arranged for some records to be delivered to him during a layover. He was in awe, and impressed by our thoughtfulness, and that’s how we are when arranging everything from hire cars to hotels. What else makes your business stand out? We are very fortunate with our location, and I think we only have a few more years before the secret that is Gary/Chicago Airport becomes common knowledge to the business aviation community. With the congestion at other airports, especially Chicago Midway International, and the notion that their commercial air traffic will continue to increase, users of business aviation will look for suitable alternatives, such as Gary/Chicago Airport. With our highly acclaimed service and some of the lowest fuel prices in the region, we plan to become the FBO of choice. Could that see you expanding other areas of business? We are well equipped to handle air cargo and would like to expand this service. With no commercial air traffic to contend with, the prime location of our facility, the easy access to a multiple highway network and the significant cost savings position us as a genuine contender to the much larger, more hectic and more expensive airport hubs. At a steady pace that will allow B Coleman to concentrate on our clients and customers, and not lose track of our main objective, which is customer service. We are planning for the long term, but at the same time maintaining the here and now. We have charter customers that may want to grow into owning an aircraft, so we can help them find the right one, manage it, hangar it, maintain it, modify it and provide the crew. We have done well with this approach and plan on expanding it. So you’re confident about the future, then? Our expansion will help us spread our reach, better serve our existing customers, and attract other clients wanting a new approach to the aviation industry. What we’re doing isn’t revolutionary: it is attention to detail and the customers’ needs, and being proactive. That is why we named the company after an inspiring pioneer like Bessie Coleman.